Hanoi (VNA) - Thailand's baht strengthened on March 25 when investors saw a likely win for Palang Pracharath Party which backs incumbent Prime Minister Prayuth Chan-ocha. The baht rose 0.4 percent against the US dollar at 12:45pm (local time). It has been up about 3 percent against the greenback since the year’s beginning. Meanwhile, Thailand's benchmark stock index dropped 0.89 percent on March 25 morning, in line with broader Asia declines. According to analysts, the possibility of Prayuth remaining in office is positive for Southeast Asia's second-largest economy and encouraged foreign capital inflows. Kobsidthi Silpachai, head of Kasikornbank capital markets research, said the continuation of economic policies for investors seems to be likely, adding that this should help boost investors’ confidence to a certain degree. 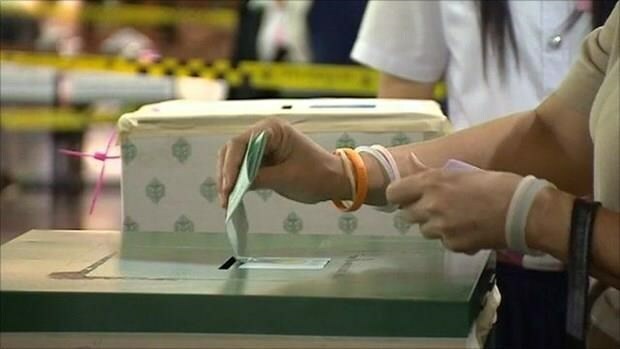 In the afternoon the same day, the Election Commission (EC) of Thailand delayed the announcement of preliminary vote result without any reason, saying that it will be announced on March 29.